A riveting banquet of superheroes literally launching at you from every corner, as Avengers the Infinity Wars hits screens. 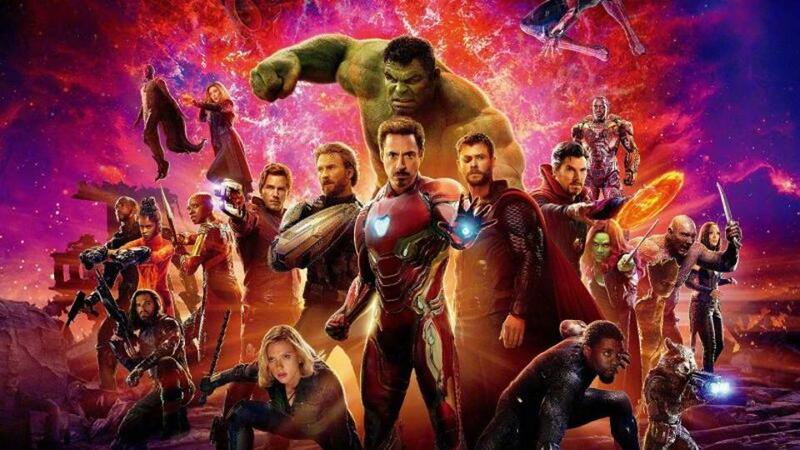 I’ll admit, I am still in learning mode when it comes to knowing exactly how each Marvel character relates to another and how they’ve appeared in the many different movies over the last decade. The incredible Hulk, party to the retrieval of the power stone crashes into the Sanctum Sanctorum, home of Dr Strange in New York and informs them of Thanos’ plan to destroy the universe. Hulk tracks down Iron Man, telling him of the news, and Spider-Man (the new one), who’s also trying to figure out the sudden disturbance in New York City, rally together to try and protect Dr Strange from Thanos’ wicked wrecking crew. Meanwhile the Guardians of the Galaxy rescue Thor as they pass the Asgardian ship where they learn about Thanos. She also knows where the Soul Stone is and Thanos kidnaps and threatens to kill her sister Nebula if she doesn’t take him to the stone. Thor sets upon his mission to find a magical battle-axe in which to destroy Thanos with Groot and Rocket in tow. The rest of the team are told to meet at planet Titan, where eventually, Strange, Iron Man and Spider-Man gather awaiting a battle with Thanos. 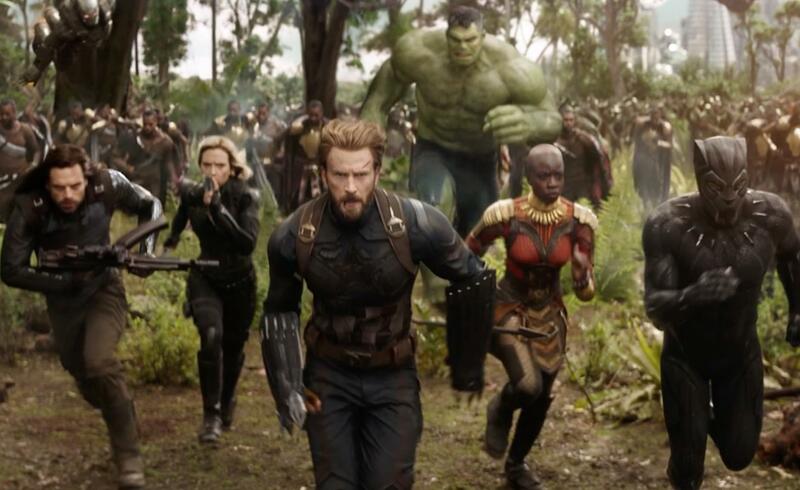 In between all of this, Vision is attacked by Thanos’ super-minions for the Mind Stone, but at the last minute he is predictably, rescued by the Avengers before they go to Wakanda, home of Black Panther to safely retrieve the stone using their advanced technology so that it can then be destroyed. A massive battle ensues across different planets until the mighty finale with Thanos in Wakanda. As with every movie containing a cocktail of different well-loved or feared characters, it can run the risk of becoming little more than a comical farce, because you’re dealing with many big characters and their reactions to one another that in reality there isn’t time for subplot or a narrative to carry through or be consistent. The audience are in a way tricked into seeing their favourite characters, but the story element is neither here or there because it’s unimportant. It is assumed that the audience wants to see the goodies beat-down the baddies in earth shattering fury. 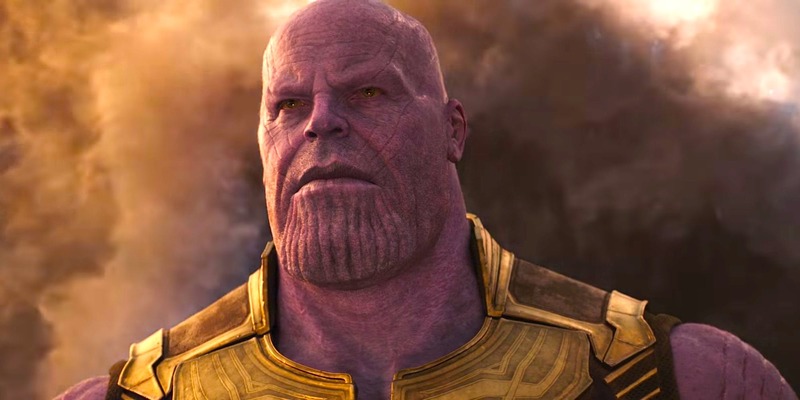 Thanos however makes an unconvincing villain, as his character seems to favour a common steroid-injecting criminal doing time in Wormwood Scrubs rather than someone who possesses incredible superpowers. The comical banter and repeated gag-themes are what makes this movie watchable, and the impressive mind-boggling CGI animation. This is the distraction, as the audience are literally engulfed by the myriad of creatures, monsters, cosmic auroras, mystical weaponry, conspicuous yantras and other magical warfare. Not one moment is left for a space to breathe and with an almost three-hour movie, you had to be rather particular in choosing your time to go to the lavatory. Now a potential spoiler alert. With some of the main superheroes being killed off, it was really difficult to believe that it would be the end of their existence. The final wasn’t very final. Their extinction played out as if there were a transcendental random shift in the cosmos. But we know that they’ll return somehow. This effect could be down to the fact that the films ending didn’t finish with a big bang, but rather a calm anti-climax of evaporating events. 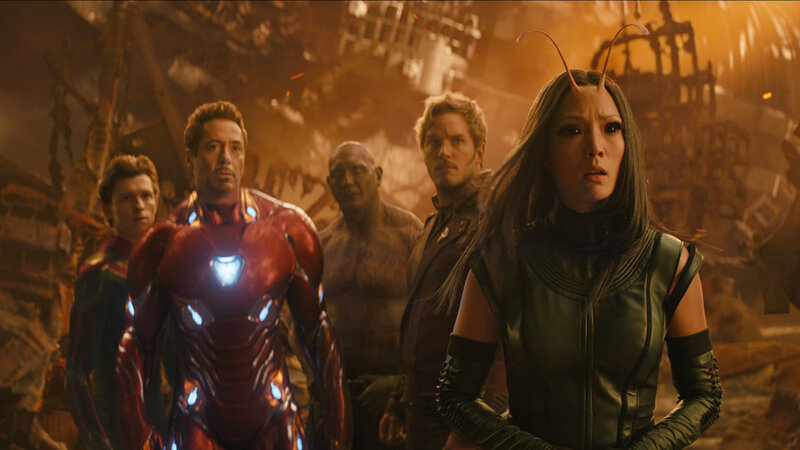 Part one and two of The Avengers: Infinity War were shot back to back, but we’ll still have to wait another year for the sequel. In the meanwhile, we have Deadpool 2, Ant-Man and the Wasp, Venom and Spider-Man: Into the Spider-Verse to look forward to. 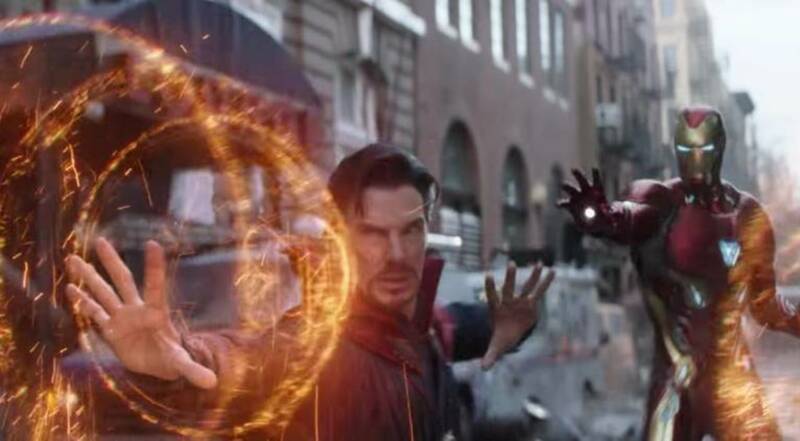 The coming year seems to offer more than enough Marvel to immerse ourselves in.